Punxsutawney Phil is one of the few animals worldwide that has an entire day nationally dedicated to him. In fact, Thursday was that day. What day you may ask. It is none-other than the nationally celebrated Groundhog Day. A day in which Punxsutawney Phil is crowned an honorary meteorologist. Tradition goes, that if Punxsutawney Phil comes out of his hole on Groundhog Day and sees his shadow, then there will be 6 more weeks of winter, but if he doesn’t see his shadow then there will be an early spring. We were hoping that he didn’t see his shadow, but unfortunately he did and now we have to live with 6 more weeks of winter. To help cope with the thought of a longer winter, we thought it would be fun to share some history and facts about Groundhog Day for this week’s blog. First observed in 1887, Groundhog Day has its origins in ancient Christian Candlemas Day tradition. During Candlemas, clergy would bless and distribute candles for winter. The candles symbolized how long and cold winter would be. According to History.com, the Germans took the Candlemas concept and used the hedgehog instead of a candle. When German settlers moved to Pennsylvania they continued the tradition but switched to the Groundhog. Today, Groundhog Day is always nationally celebrated on Feb. 2, because it is exactly halfway between the Winter and Spring equinox. Groundhogs are clean animals that insects and germs leave alone. In fact, they are immune to many plagues that haunt animals. They put themselves in a deep coma during the winter. 2 months after birth, young groundhogs are ready to live on their own. The groundhog’s normal lifespan is 6-8 years. 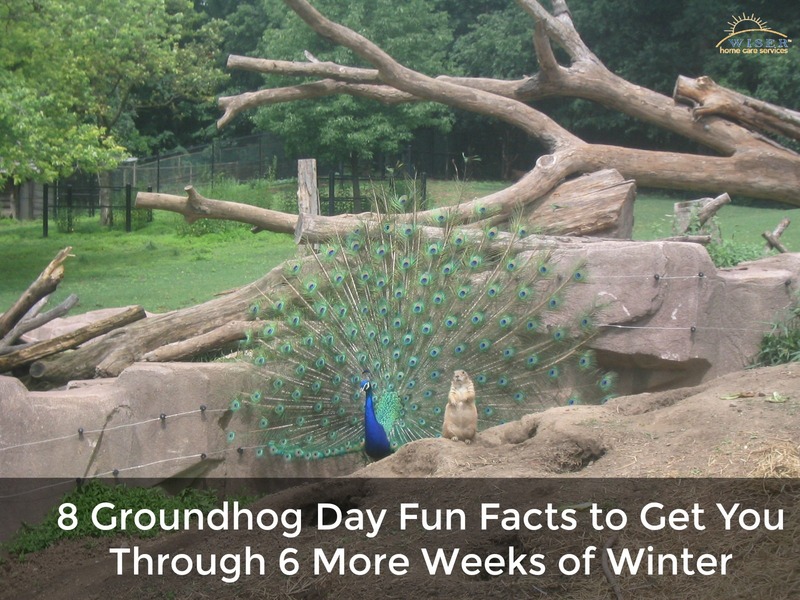 We hope you enjoyed learning about the history and fun facts about Groundhog Day as much as we did. Since Winter is sticking around for another 6 weeks, if you care for an elderly loved one, we urge you to read our Guide to Reducing Senior Falls in the Winter. Finally, if you would like help caring for or developing an extensive care plan for your elderly loved one, we can help. Please contact us, and we will be happy to answer any questions you may have.